TRX500FM1 WINTER WARM UP – ENDING SOON! Comments Off on TRX500FM1 WINTER WARM UP – ENDING SOON! 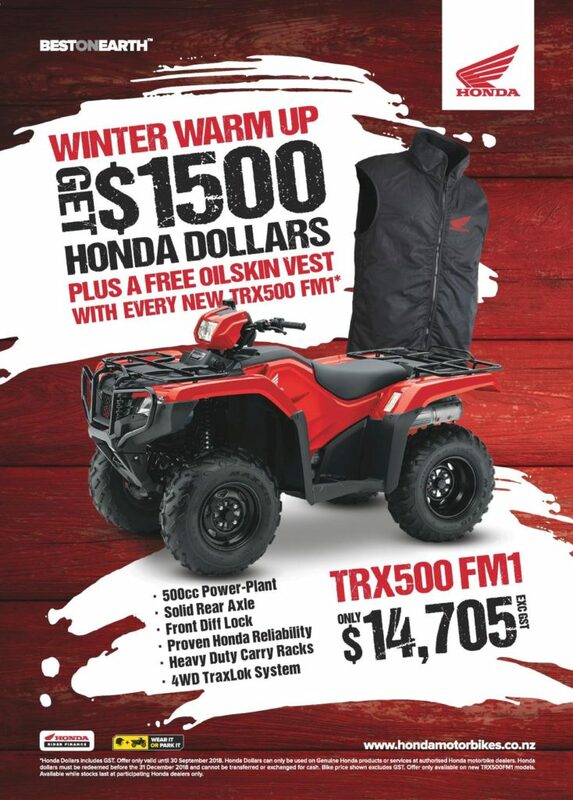 Until the end of September 2018 fet $1500.00 Honda Dollars on a new Honda TRX500FM1 and get a FREE Honda Oilskin vest – but hurry…. offer ends 30th September!